"How good's the big twist? You won't see it coming." "Entertainment Weekly"
"Terrific an unpredictable and unsettling familial drama that has drawn comparisons to the novels of Gillian Flynn and fellow Dubliner Tana French." "Kirkus Reviews"
Tangiers. Harry is preparing his wife's birthday dinner while she is still at work and their son, Dillon, is upstairs asleep in bed. Harry suddenly remembers that he's left Robin's gift at the cafe in town. It's only a five minute walk away and Dillon's so tricky to put down for the night, so Harry decides to run out on his own and fetch the present. Disaster strikes. An earthquake hits, buildings crumble, people scream and run. Harry fights his way through the crowd to his house, only to find it razed to the ground. Dillon is presumed dead, though his body is never found. Five years later, Harry and Robin have settled into a new kind of life after relocating to their native Dublin. Their grief will always be with them, but lately it feels as if they're ready for a new beginning. Harry's career as an artist is taking off and Robin has just realized that she's pregnant. But when Harry gets a glimpse of Dillon on the crowded streets of Dublin, the past comes rushing back at both of them. Has Dillon been alive all these years? Or was what Harry saw just a figment of his guilt-ridden imagination? 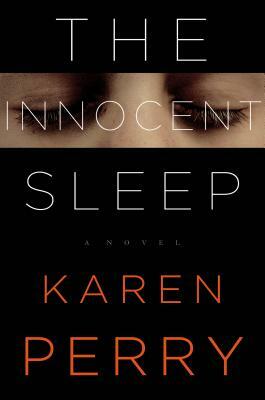 With razor-sharp writing, Karen Perry's "The Innocent Sleep" delivers a fast-paced, ingeniously plotted thriller brimming with deception, doubt, and betrayal. Karen Perry is the pen name of Dublin-based authors Paul Perry and Karen Gillece.Paul Perry is the author of a number of critically acclaimed books. A winner of The Hennessy New Irish Writer of the Year Award, he is a lecturer in creative writing at Kingston University, London, and course director in poetry at the Faber Academy in Dublin.Karen Gillece is the author of four critically acclaimed novels. In 2009 she won the European Union Prize for Literature (Ireland).